NNew Jersey is a state in the Northeastern and Middle Atlantic regions of the United States. It is bordered on the north and east by the U.S. state of New York, on the southeast and south by the Atlantic Ocean, on the west by Pennsylvania, and on the southwest by Delaware. New Jersey is the 4th least extensive, but the 11th most populous and the most densely populated of the 50 United States. New Jersey lies mostly within the sprawling metropolitan areas of New York City and Philadelphia. It is also the third wealthiest by 2009–2010 median household income. Some of the largest U.S. companies, including Johnson & Johnson, Prudential Financial, and Honeywell International, maintain their headquarters in New Jersey. 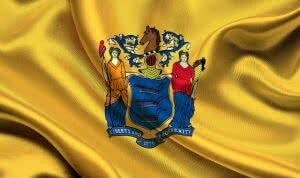 New Jersey’s economy is centered on the pharmaceutical industry, the financial industry, chemical development, telecommunications, food processing, electric equipment, printing and publishing, and tourism. Names of New Jersey corporations should not be confused with name of any incorporated entity or reserved or registered names. Company Express will research your company name to make sure it meets New Jersey’s standards. Required documents: Certificate of Incorporation or Public Records Filing for New Business Entity with an attached proof of name reservation. Turnaround time: About 4-6 business days. Minimum number: Minimum of director is required, as well as a president, secretary, and treasurer. Director qualifications: Directors must be at least 18 years old. Appearance in articles: Director names and addresses are required to be listed in the Certificate of Incorporation. Corporation’s principal office has to be located inside the state of New Jersey. Local registered agent is also required. Time to file: Annual reports with the New Jersey Department of Treasury are due on or before the last day of the month that marks the anniversary of incorporation. The state filing fee is $50. Signatures: Filings are completed online. Corporations may authorize signatories. Names of New Jersey Limited Liability Companies should not be confused with any existing entity names or current reserved or registered names. Company Expresswill research your company name to make sure it meets New Jersey’s standards. Required documents: Certificate of Formation or Public Records Filing For New Business Entity. Turnaround time: About 3-6 business days. Minimum number: Minimum one manager/member is required. LLC’s principal office has to be located inside the state of New Jersey. Local registered agent also required. Time to file: Filed online annual reports are due on or before the last day of the month that marks the anniversary of formation. The State filing fee is $50. Signatures: Manager, member or authorized person must sign reports.